07:00: The batteries for the camera are fully charged and we are ready for Monument Valley. It’s raining as we start the 17 mile gravel road through the National Monument. We are overwhelmed by the beauty of the landscape lying in front of us. The rock formations are gorgeous and impressive. We take lot of very nice pictures. On our way to Page we also visit the Betatakin ruins, built in the 13th century by farmers. In Page we find a room in a small motel (no phone though). Later we have dinner at the Italian. 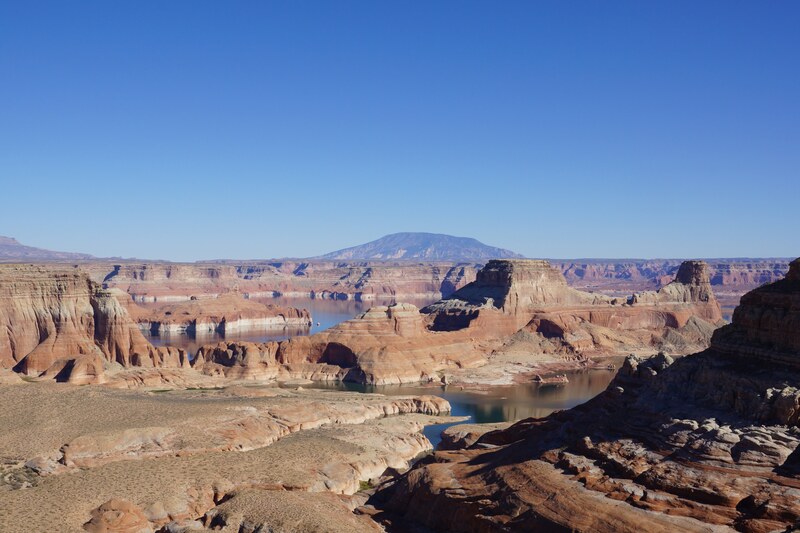 To see the sunset we drive up to an overlook from which we have a top view over Page and Lake Powell.